Apple’s iOS 9 platform brought quite a handful of changes in the company’s ecosystem, including the picture-in-picture view. Currently, only devices running iOS 9 have access to the functionality such as the iPad Pro and other iPad variants. However, developer @stroughtonsmith modified his Apple TV 4 just to try his luck on getting the picture-in-picture mode. Picture-in-picture mode allows you to continue watching the video while you browse through other stuff or simply use another application. The feature is absent on the new Apple TV which is quite a nuisance for some since it limits your experience to the current media being played on Apple’s HDMI streaming box. For some, the picture-in-picture feature is a must have because it freely allows you to watch your stream alongside your browsing. Considering the fact that the new Apple TV’s tvOS is based on iOS, there are a bevy of similarities running under the hood. Both operating systems share almost the same codes and Apple has either only modified or disabled some parts of tvOS. Henceforth, this developer poached forward to try running the picture-in-picture mode on the new Apple TV. It’s one of the advantages of having a dedicated operating system that shares some of the characteristics inherited from the mobile platform. Surprisingly, the feature ran buttery smooth, allowing the media file to shrink down to the corner. Since the feature is associated with movies and other media files, it makes us question why Apple has yet not officially introduced the feature in its smart streaming box. The developer showcased some of the files in picture-in-picture mode that worked like a charm, without any stutter or hindrance in the procedure. It’s uncanny to say that the Apple TV 4 is not capable of handling the feature. It boasts an A8 chip that is powerful enough to support it. 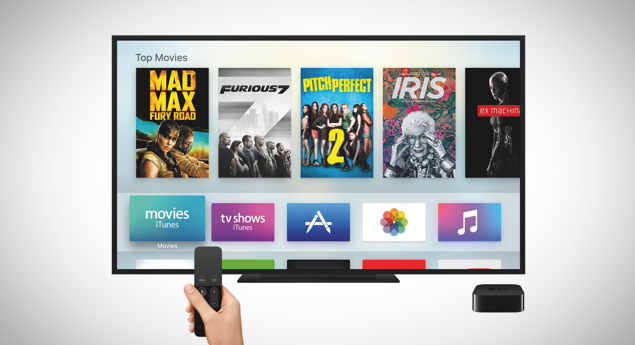 It could be that Apple is waiting for the proper time to update the feature in its new and improved Apple TV. However, yet it is not bundled in the tvOS, which is super disappointing for some. Moreover, many of us do not carry that specific know-how to hack or overpower Apple’s tvOS, so let’s just leave it to those who can and wait for Apple to update picture-in-picture mode, if the company has any plans of the sort. This is it for now, folks. What do you guys think about picture-in-picture mode on the new Apple TV? Ever felt the need to size down your media and continue browsing? Let us know in the comments.